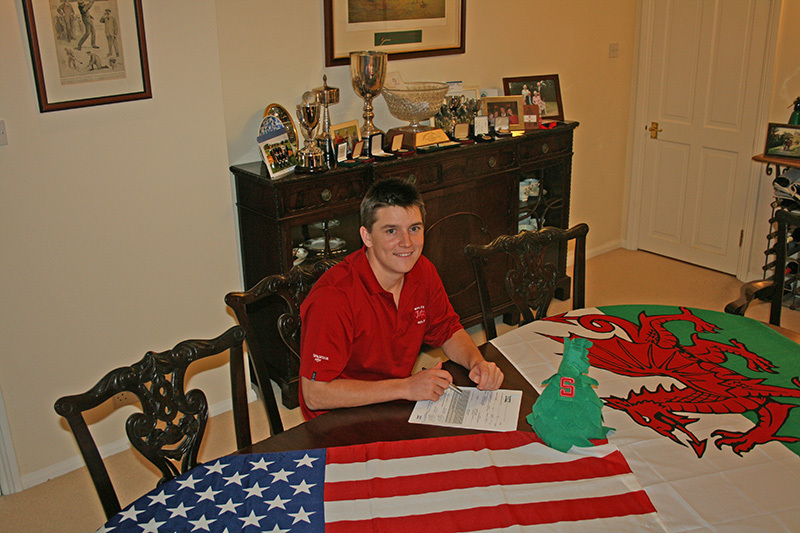 STANFORD, Calif. - The Knowles Family Director of Men's Golf, Conrad Ray, has announced high school senior Dominick Francks and International Student David Boote have signed national letters of intent to attend Stanford University next fall. Francks, who is from Olympia, Washington and attends Olympia High School has collected many golfing accolades on a regional and national stage. In 2010 the Washington State Golf Association named Dominick Junior Boy’s “Player of the Year” after he won both the Junior State Championship and the Junior Pacific Northwest Amateur. In 2011, he retained his “Player of the Year” status with the Washington Junior Golf Association, added a MVP honor representing Washington at the Junior America’s Cup and claimed the WIAA 4A State High School Golf Championship Title. Notable results on the national golfing scene in 2011 included tied 3rd place in the Callaway Junior World Championship, 5th in the Junior America’s Cup and tied 2nd place in the Hudson Junior Invitational. 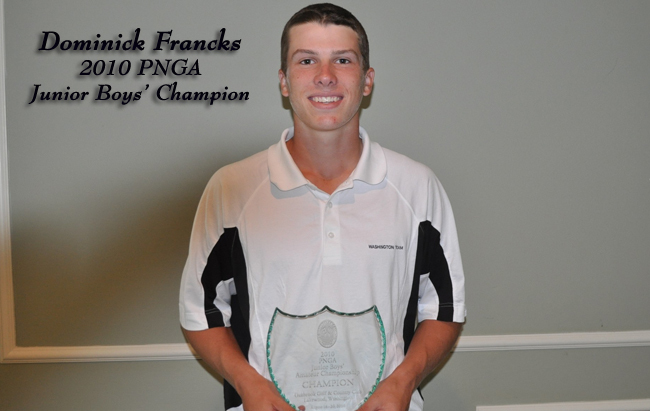 Francks maintains a USGA Handicap of +2.5 and a Stroke average of 72. He has also played 3 years of Varsity Basketball and is a member of the Olympia High School Sports Round Table. Dominick stands 6'3" and weighs 195 lbs. His fields of academic interest are currently Biology and Philosophy. Dominick commits to Stanford | Junior World 3rd Place Finish | Washington State High School Champion | 2010 PNGA junior champion | You Tube Swing Video. Boote hails from Surrey, England and attends Epsom College where he is studying for A-Levels in Maths, Biology, Chemistry, Economics and Critical Thinking. Despite residing in the suburbs of London in England, David is very proud of his Welsh heritage and is their 2011 National Junior Champion. 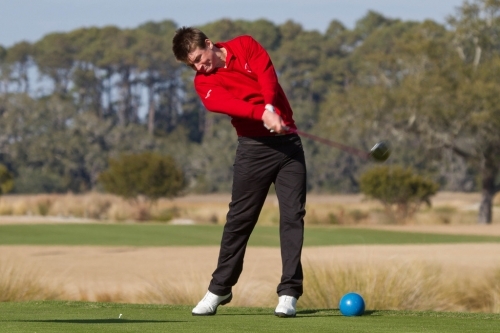 Success representing Wales at Junior level in European International events along with solid play at the Men’s Home Internationals at County Sligo, Ireland, this summer has elevated David’s standing to being a key member of the Welsh National Men’s Amateur Squad. Perhaps his greatest 2011 recognition came when David captained Great Britain and Ireland Juniors in the Jaques Leglise Trophy and helped his team earn victory over a strong Continent of Europe team in Neguri, Spain. 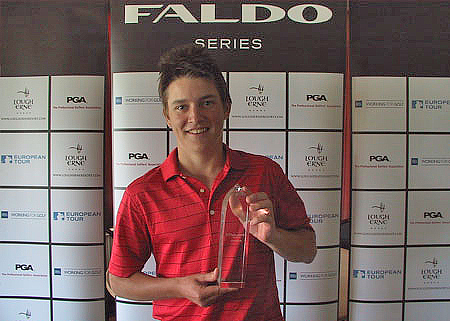 Individually in 2011, David won the United Kingdom Nick Faldo Series Championship. 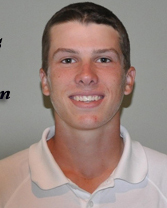 Through numerous wins and top finishes in National cometitions over the course of several years, David earned selection opportunities to competed twice on American soil at the Junior Jones Cup and the Junior Players where he finished respectably in 9th and 35th spots respectively. Outside of golf, David plays the lead baritone saxophone for his school band ensemble, acts in his school dramatics society and has represented Epsom College in Rugby and Field Hockey. David's golf handicap is +2.1 and he stands 5'10" and weighs 155 lbs. 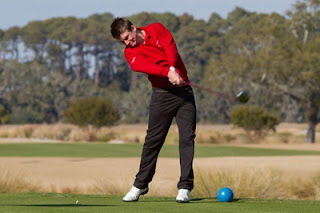 David Spearheads Wales Challenge | David wins the Faldo Series | David Captains GB & I team vs Continent of Europe | Photos and Story of GB & I win in Spain | Surrey County Golf Story of Signing.